Kit contains everything you need for beautiful looking brows. Great for applying fake eyelashes. 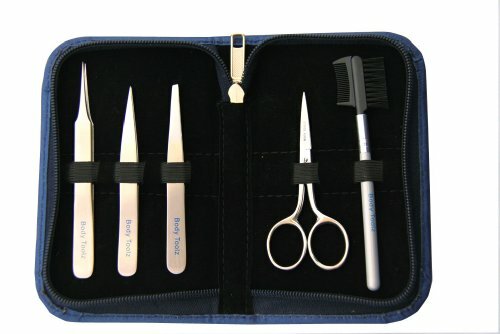 Kit contains, fine pointed tweezer for applying eyelashes, pointed tweezer for close work, slanted tweezer, brow scissor and brow brush/comb. If you have any questions about this product by Body Toolz, contact us by completing and submitting the form below. If you are looking for a specif part number, please include it with your message.